I LOVE the Rock Chicks! I LOVE the Rock Chicks!! 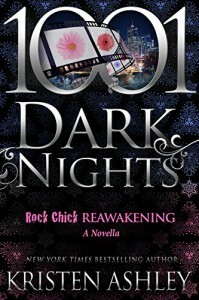 Kristen Ashley brought me right back into the Rock Chick and Hot Bunch world with this book. She's one of my all time favorite authors because of her unique style and hilarious and descriptive way with words. I've read the entire Rock Chick Series more than once and I was always curious about Marcus and Daisy's past. I'm beyond ecstatic that Ms. Ashley wrote their amazing story! Now, I'll probably go back to the beginning and read the whole series again. Daisy is loud, brash and wonderfully colorful and unique. I loved her southern style. Marcus can be stone cold scary but he's a sweetheart with Daisy and even though they seem to be totally wrong for each other, Marcus and Daisy are just perfect together! 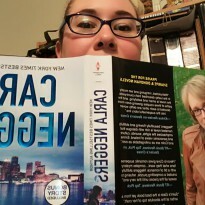 This one goes on my READ AGAIN E-SHELF! Told from dual POVs with a fantastic ending!